If you put two elephants in a room together and close the door, in 22 months you may get one baby elephant. But two rabbits together for the same amount of time will result in thousands of baby rabbits! 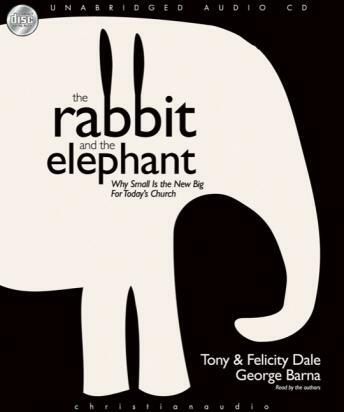 In The Rabbit and the Elephant, “micro church” planters Tony and Felicity Dale use the “rabbit” illustration to show the pace at which the Christian faith can (and should) be growing—through evangelism that is explosive and transformational. The Rabbit and the Elephant contains the key to 21st century evangelism—taking the gospel to where the pain and the people are.